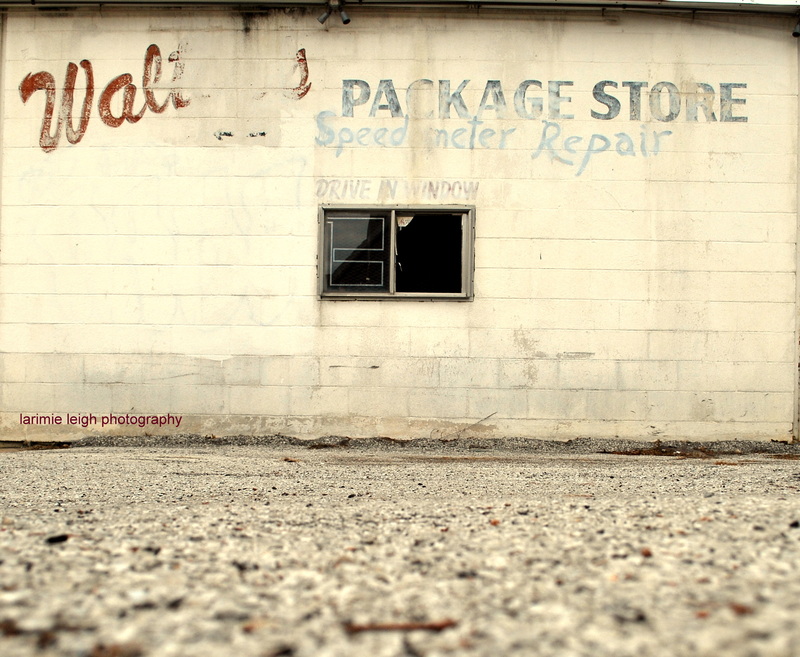 This week’s picture is the drive in window at the old Walton’s Package/Liquor Store. I decided to photograph a building downtown I have admired for quite a while, Walton’s on 7th St. I had made my way around the building taking pictures at every angle when God decided to intervene. I just love when he sends people your way. I looked up to see an older gentlemen walking toward me. He said, “it’s a little cold to be taking pictures don’t you think?” I agreed and we began to talk. He had been riding by on his motorcycle, when he saw my car and decided to stop. His name was Bob Walton Jr. and as it turned out he owned the building. He offered to let me take a look at the inside. I’ve always been so curious about the building so of course I said yes. Bob was a very gentle soul and quite informative. The building hadn’t be used in years except for storage. It’s actually two buildings adjacent to each other. One, a two story building that used to have a school on the second floor and a pawn shop on the first. The other was a package/liquor store. He said the building was over 100 years old and he had owned it since the 70’s. I really enjoyed the building’s history. Although the City of Fort Worth has a different view. With all of the new construction/renovations creeping up 7th Street, the city sees Walton’s as an eye sore. Sadly, he said he was being fined every day the building remained standing so he was trying to sell the property. I hate to see the building, along with its history, be torn down but it seems inevitable. I think most photographers would agree, to find a building with old school charm in the middle of the city is refreshing. I hope to use the location as much as possible before it’s gone.